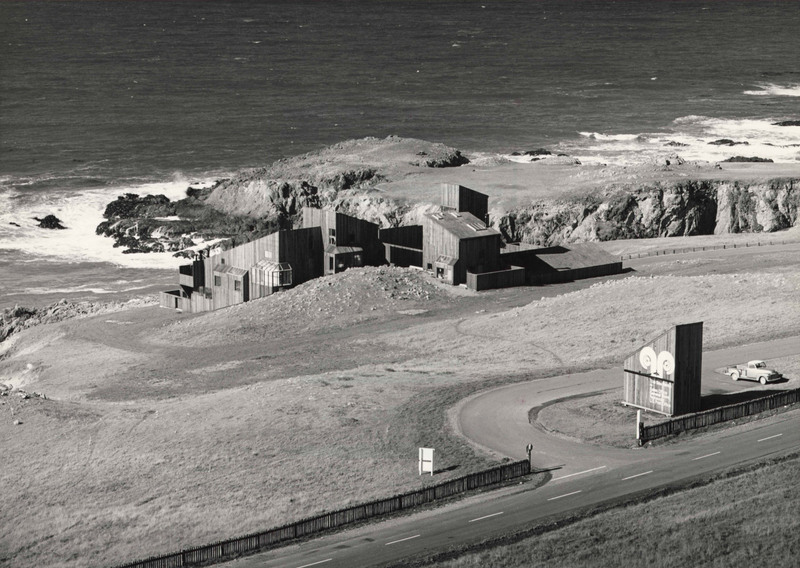 This winter, the San Francisco Museum of Modern Art (SFMOMA) will exhibit The Sea Ranch: Architecture, Environment, and Idealism, a deep dive into the conceptual planning behind the iconic Sea Ranch development in Northern California. Designed by Charles Moore, Joseph Esherick, William Turnbull, Lawrence Halprin, and Barbara Stauffacher Solomon, Sea Ranch is considered a revolutionary effort that melded speculative suburban development with budding countercultural movements in an effort to “live lightly on the land.” The naturalistic development was planned in 1964 and driven by its conceptual opposition to the suburban American model of development that hardly considered site issues or natural beauty. Created by developer Al Boeke and a group of Bay Area architects, landscape architects and graphic designers, the project was listed along with other nearby works as a later example of the Bay Region Style, a localized variant of Modernism coined by Lewis Mumford in a controversial 1947 article he penned for The New Yorker. The exhibition will showcase archival and contemporary photographs, original drawings and sketches of the initial designs as well as a full-scale architectural model created for the exhibition. “In mid-20th century California, Modern architecture represented social progress," said SFMOMA architecture and design curator Jennifer Dunlop Fletcher in a statement. "It signaled a shirking of tradition and bold new models for living. 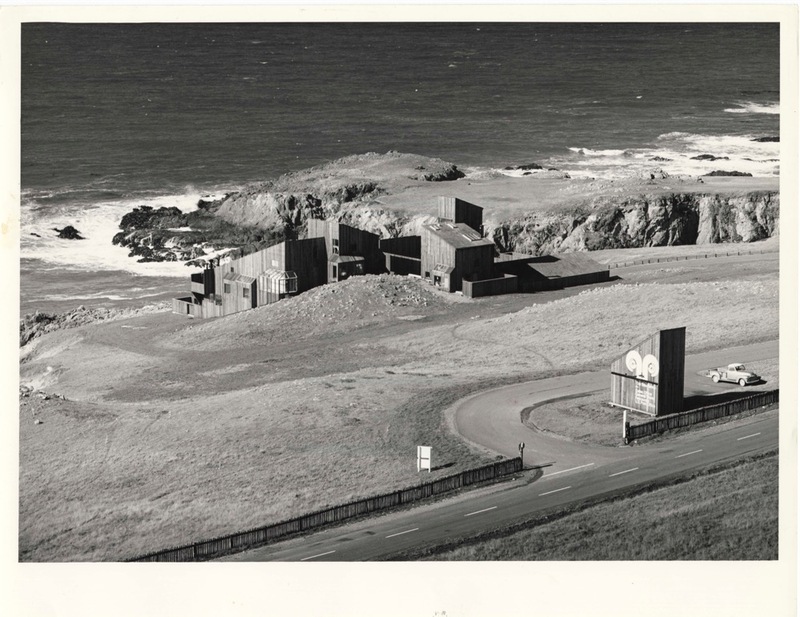 The Sea Ranch was envisioned as a place to embrace the land, a particularly moody and memorable land, that could expand California’s existing indoor-outdoor lifestyle." The exhibition runs December 22, 2018 through April 28, 2019. American artist Donald Judd may be known for his stainless steel and Plexiglas sculptures, but it's his furniture designs that shine at a new show titled Donald Judd: Specific Furniture, currently on view at the San Francisco Museum of Modern Art (SFMOMA) through November 4. 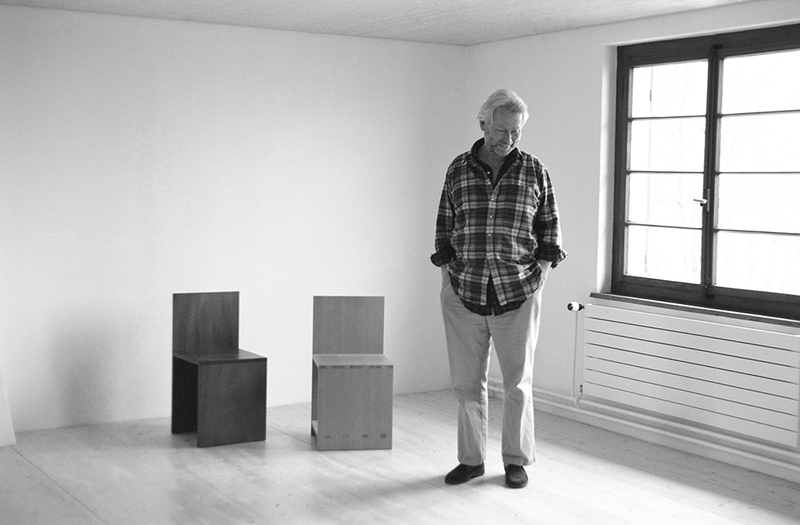 His rigorous explorations of form in sculpture have carried over to his furniture designs, which compose a parallel practice that began in the 1960s. The exhibition presents a mix of his work and his acquired pieces that served as major influences. He collected pieces by Alvar Aalto, Ludwig Mies van der Rohe, Gerrit Rietveld, Rudolph M. Schindler, and Gustav Stickley, who were among the modernist designers that inspired Judd to depart from the ornate and stylistic designs in fashion in the 1930s. His collection of furniture includes tables, desks, chairs, and beds, featuring a minimalist design language present in his ornament-free paintings and sculptures. “The difference between art and architecture is fundamental,” Judd once wrote. “Furniture and architecture can only be approached as such. Art cannot be imposed upon them. If their nature is seriously considered the art will occur, even art close to art itself.” According to a statement from SFMOMA, “his designs exemplify a singular vision of scale and proportion,” allowing for “a focus on details of form and the clear expression of materials.” His Open Side Chair 84 in wood was put alongside his Desk 10 in enameled aluminum in a photo of his architecture studio in Marfa, Texas, where he moved in 1971 and lived and worked until his death in 1994. In another photo of his former studio, now the Judd Foundation in Marfa, the delicate Frame Table 70 by Judd was ingeniously coupled with the iconic MR Side Chair by Mies. Frame Table 70’s unique design is said to resonate with Aalto’s Table 70, which sports a similar second-tier shelf detail. All in all, this exhibition repositions Judd’s design work within the twentieth-century canon. Check out this link for details and tickets. Los Angeles-based design firm Bureau Spectacular, in its first West Coast museum showcase, is exhibiting some of their graphic and three-dimensional work at the San Francisco Museum of Modern Art (SFMOMA) this month. 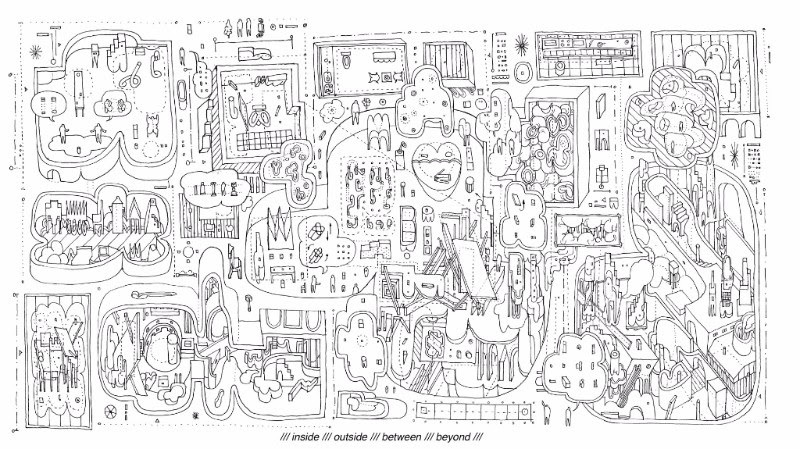 The exhibition, titled insideoutsidebetweenbeyond, builds on architectural ideas developed by Bureau Spectacular-leader Jimenez Lai in an eponymous drawing made in 2014. Through the drawing, Lai explores the formal and urban manifestations of a society in which architecture is capable of rewriting cultural narratives through what Jennifer Dunlop Fletcher, the Helen Hilton Raiser Curator of Architecture and Design at SFMOMA, describes as “a balanced democracy of creative individuals.” That work, acquired by SFMOMA in 2015, will be displayed in concert with several other works by Bureau Spectacular, including a comic titled When I Grow Up from 2013, and a collection of five new physical models. The models depict architectural manifestations of urban life through a collection of surreal vignettes. The busy firm also recently debuted designs for the 2,000-square-foot flagship store for clothing brand Frankie, designed a contemporary reinterpretation of Marc-Antoine Laugier’s “Primitive Hut” for the Seattle-focused travel show, Been There, Made That, and was recently shortlisted for this year’s PS1 MOMA Young Architects Program. The firm’s SFMOMA exhibition opens February 11, 2017, and will be on view until August 13th. See the exhibition website for more information. The first solo exhibition in the United States of Japanese photographer Sohei Nishino’s work is currently on view at San Francisco Museum of Modern Art (SFMOMA) in New Work: Sohei Nishino. The exhibition presents a new collection of work in the photographer’s Diorama Maps photograph series. 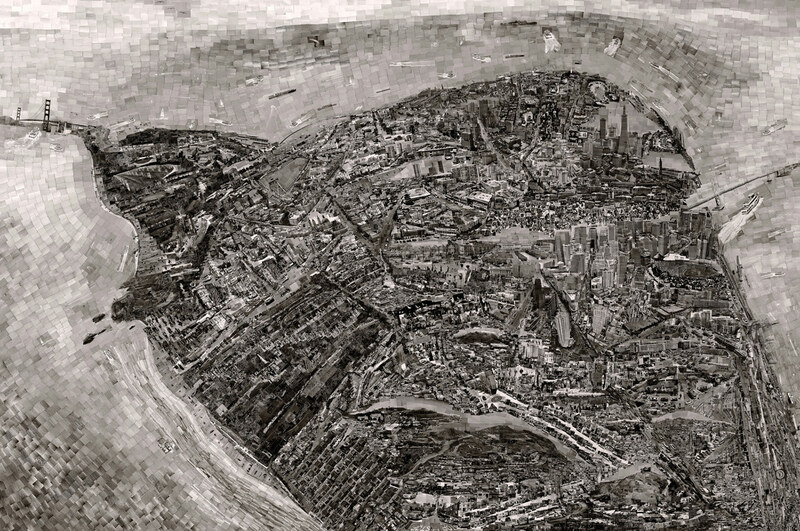 Each of the works depicts a different city explosively photographed by Nishino to be seen from above as a type of meticulously collaged and abstracted aerial view. To arrive at this final image, the artist spends months walking a city and snapping photographs that are printed and assembled by hand into a giant collage. That collage is then digitized and finally printed as a large-scale digital photograph. The high-resolution images in New Work: Sohei Nishino feature scenes from Rio de Janeiro, Brazil; London; Havana; and a view of San Francisco made specifically for the exhibition. 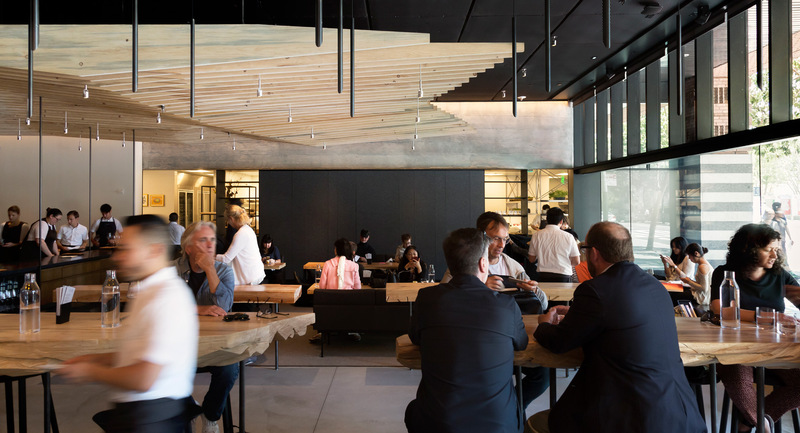 San Francisco–based Aidlin Darling Design (ADD) and three-starred Michelin chef Corey Lee have teamed up for In Situ, a new 150-seat restaurant located within the original Mario Botta–designed portion of the San Francisco Museum of Modern Art that was recently expanded by Snøhetta. The restaurant is designed as an alternate-dimension art museum, where “borrowed” dishes on loan from the kitchens of the world’s most renowned chefs make up the menu, meticulously recreated by Lee’s team. And so, ADD has rendered an intentionally spare interior made of mostly-found surfaces, with many of the existing, roughed-out textures of the extant space remaining—some polished, some raw. Other interior elements, inserted neatly into that rough, gray box, act as bespoke elements: a sculptural timber ceiling, custom-made tables hewn from raw logs, and delicate bar stools and lounge chairs. Site-specific artworks are also scattered around the restaurant, which is lit from one side by a large storefront window opening onto Third Street. The space is divided into two dining areas. The first, a large, informal dining room, is populated by bar-top and communal tables, is capped by the sculptural timber ceiling. Its surface is made up of delicately jagged and parallel wooden boards and extends across both dining rooms, alternating between various degrees of geometric relief. Further into the space, the second, more formal dining room is made up of intimate seating areas. 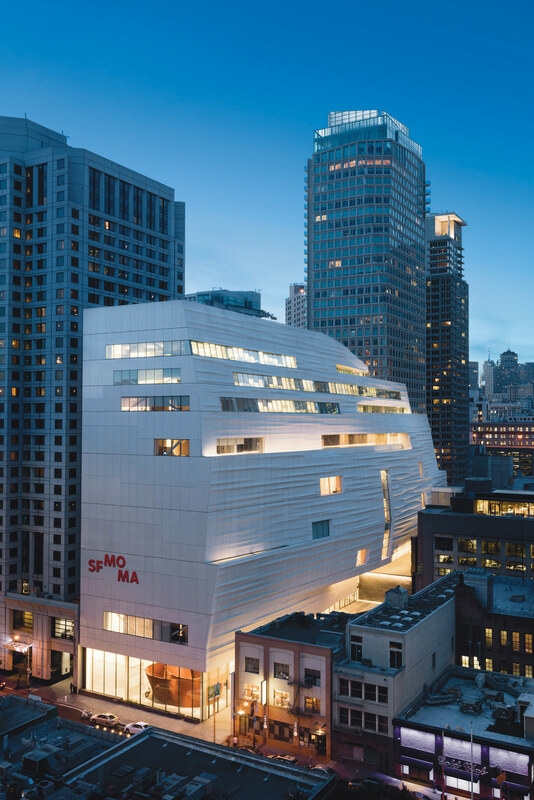 Will San Franciscans embrace the new SFMOMA? In 1995, as Mario Botta’s brand new San Francisco Museum of Art debuted, critic Pilar Viladas wrote an article for the Los Angeles Times, “San Francisco’s MOMA Moment: Mario Botta designed an interior that is sublime. But what happened to the rest of the new museum?” A similar question has been on architecture critics’ minds since Snøhetta’s $305 million expansion to Botta’s original opened to the press on April 28. The original building was designed as an outpost for culture in a downtrodden area, a muscle man for the artistically curious. Now, billions are pouring into the area with a regional transit center, 5.4-acre elevated park, and new highrise neighborhood planned adjacent to the museum. 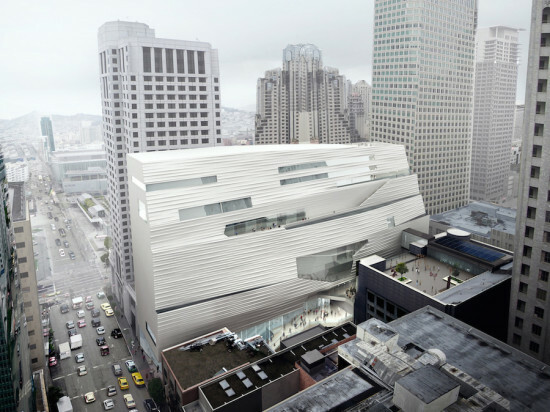 And so, SFMOMA is evolving to reflect downtown San Francisco’s new inflection point. Interestingly, SFMOMA’s board of directors has done what those of other major national museums like New York City’s Whitney, the Museum of Modern Art, and Los Angeles’s LACMA have not: Drastically expand and reorganize gallery space without demolishing their existing museum or having to relocate to an entirely new building. Snøhetta was tasked with constructing a real building, whereas OMA and Michael Graves Architecture merely proposed similar ideas in their respective Whitney proposals decades ago. 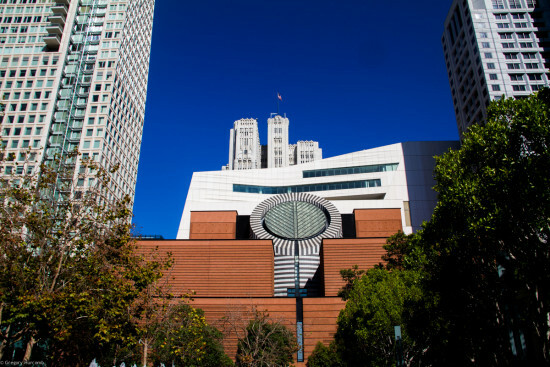 But if Viladas’s assertion that Botta’s original was ugly on the outside was proven ultimately false—San Franciscans seem to love the original SFMOMA through and through—Snøhetta’s expansion begs a new, complicated question: What happened to the rest of the old museum? Snøhetta’s point of view in that regard is a standard one: Emphasize the existing through opposition. The 235,000-square-foot expansion grows out of the original structure’s backside and then rises ten stories above. By filling the narrow site to capacity and adding a new entrance along Howard Street, the architects greatly expanded the program’s public areas. Like in the original museum, the first three floors will be free to the public, a group that now includes all San Franciscans aged 18 and under. This new entry features a maze of interlocking double height spaces, including a wood-clad amphitheater overlooking a pair of Richard Serra’s Sequence sculptures. The new amphitheater and Botta’s existing monumental rotunda meet at the second floor, creating “a living room for San Francisco,” as Craig Dykers, principal of Snøhetta, relayed during a guided tour. The proportions of this new “living room” are more intimate in nature than Botta’s proud entry. Snøhetta has retooled that existing entry by replacing the original oversize white switchback stairway with a low-slung wood one. Drawing comparisons to the firm’s prior Oslo Operahuset where the plane of the roof is sloped to allow pedestrian access from surrounding streets, Dykers said, “You feel ownership over a space when you can walk on the roof.” That’s a funny way to describe being on the second floor of a ten-story building, but what Snøhetta really did is bring the street indoors by luring up pedestrians from a variety of approaches. The third floor contains dedicated photography galleries as well as a buzzing coffee shop. A large grow wall and outdoor Calder plaza flank this floor’s entry landing, creating a cool and shaded space teeming with growing things and art objects that grants museumgoers their first real glance at the museum’s icy east facade. From there up, gallery spaces stack neatly and predictably, joined for two floors by existing galleries in the Botta building. The remaining floors above are accessed by a maze of single-run and increasingly narrow blonde wood staircases Dykers likens to those in a private home. The simultaneously jagged and swoopy perimeters of the staircases are offset by minimalist detailing. Treads, framed by Alvar Aalto-inspired hand rails, are embedded in the wall at the curved side only to pull away from it again in a reveal along the angular boundary. At your feet, singular lengths of stained planks mark the beginning and end of each stair run. “Everything your body touches is made of wood,” Lara Kaufman, project architect for the expansion, explained of the “floating,” ergonomic design of the galleries’ wood floors. The galleries themselves are obsessive in their minimalist articulation. Dykers said outlets, return air grilles, and lighting subconsciously distract the art viewer and that the firm’s goal was to disappear these components in the gallery spaces. The team was also careful to position overhead lighting in specially calibrated vaulting that complements the galleries’ eastward-facing glazing. The “contemporary” gallery on the seventh floor showcases recent work in a space with exposed ductwork and framing above the exhibition walls. The three floors above it are dedicated to staff offices. Ultimately, Snøhetta’s team has made an unambiguous and honest effort to address the complicated calculus involved in adding onto a beloved art institution in a dense urban environment. As with the original structure, only time will tell how San Francisco takes to its new modern art museum. San Franciscans have already marked their calendars for the May 14 opening of in downtown San Francisco. The 1995 striated-brick building is being greatly expanded and reorganized in a scheme that triples the museum’s exhibition space while adding a new main entry along Howard Street. The project was developed as a public-private partnership with the Doris and Donald Fisher Collection, which agreed to display works from its private collection at SFMOMA for the next 100 years. The 10-story, 235,000-square-foot expansion by the Norwegian firm is set back from the Botta structure, adding a funny hat to an already funnily hatted building. Craig Dykers, co-founding partner of Snøhetta, said in a statement that he wanted the new addition to “rise like a continuation of the [original building’s] terraces, even while offering a new image that reflects the Bay Area’s natural setting.” New and old meet at a two-foot-wide seismic joint separating the two structures so that in the event of California’s next “Big One,” each building will be able to jostle independently, minimizing damage. The new, rectangular structure meets the narrower Botta building along an entire facade, running across the block’s full width, from Minna Street to Howard. The latter entrance is flanked by a two-story grow wall containing 16,000 plants that runs along an interior courtyard resulting from the main building’s stepped facade. Maple-surface amphitheater seating and Richard Serra’s monumental Sequence sculpture are located on the ground floor and adjacent to this courtyard. These features help pull the public into the museum’s first two floors, which will be free to all. The addition’s facade is clad in 700 custom fiberglass reinforced polymer (FRP) panels that project from the curtain wall. These panels are rumpled horizontally, creating an articulated facade that folds in and out of the ascending mass. Panels incorporate silicate crystals taken from nearby Monterey Bay in order to dapple light along this east-facing exposure. The remaining entrance along Third Street leads to the original building’s giant, oculus-topped atrium. Here, Botta’s grand staircase, no longer up to code, has been completely removed, allowing the oculus to fill the massive hall with light. This begs the question: with the impending opening of what will be the country’s biggest modern art museum, is it morning in San Francisco? LA and San Francisco have always been in an arms race to see which city has more, or better, of everything. With the recent opening of LA's Broad Museum and next month's debut of the new SFMOMA, the stakes have never been higher. However, those proper art museums are facing competition for attention (and Instagram posts) from several major global art galleries setting up in the Golden State. Los Angeles recently debuted a new Annabelle Selldorf-designed Hauser & Wirth outpost in that city’s booming Arts District. 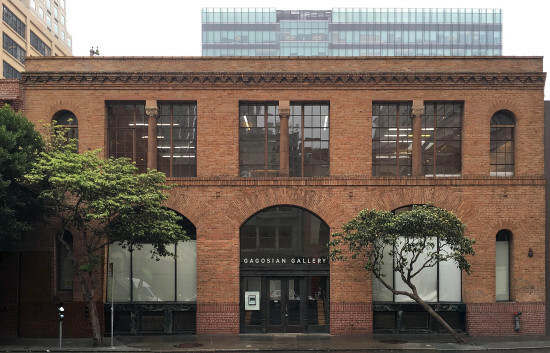 Now, not to let their So-Cal brethren have all the glory, San Francisco is rolling out the welcome mat for Gagosian's recently-revealed gallery. Located in San Francisco’s downtown arts district, it will be designed by Kulapat Yantrasast, founder of LA and New York-based wHY. The new gallery is an old brick building owned and occupied by Crown Point Press, a longtime neighborhood gallery that focuses on displaying printmaking and etchings. It's situated across the street from the soon-to-be-opened, Snohetta-designed expansion to Mario Botta’s original SFMOMA building. This new Gagosian certainly looks to fill a growing niche within Northern California’s wealthy, tech industry-driven, art-buying community. In reference to the decision to open this new gallery, Gagosian told the San Francisco Chronicle,“This makes sense with the new museum opening and with the emerging collector base in Silicon Valley.” According to renderings provided to A/N by Gagosian, the new 4,500 square-foot design is organized as a traditional white-walled gallery. It features nothing more than a line of structural columns, some lateral bracing, and a skylight interrupting the otherwise minimal space. The historic building’s facade is being left untouched, save for new signage displaying the gallery’s name over the building entrance. The new gallery's May 18 opening is timed to coincide with the debut of the new SFMOMA. The inaugural show will feature works on paper and sculpture by the likes of Cy Twombly, Richard Serra, and Pablo Picasso. “The building is not static—it is designed to gracefully mature over time as life and art move forward together,” said Snøhetta’s Craig Dykers poetically wrapped up his opening remarks at the pre-launch event of their heralded new addition to the SFMOMA, which is slated to open May 14, 2016. These words captured well the essence of his presentation, one that focused on the new expansion as a landmark affair in the eighty-year history of the West Coast’s first museum devoted to modern and contemporary art. 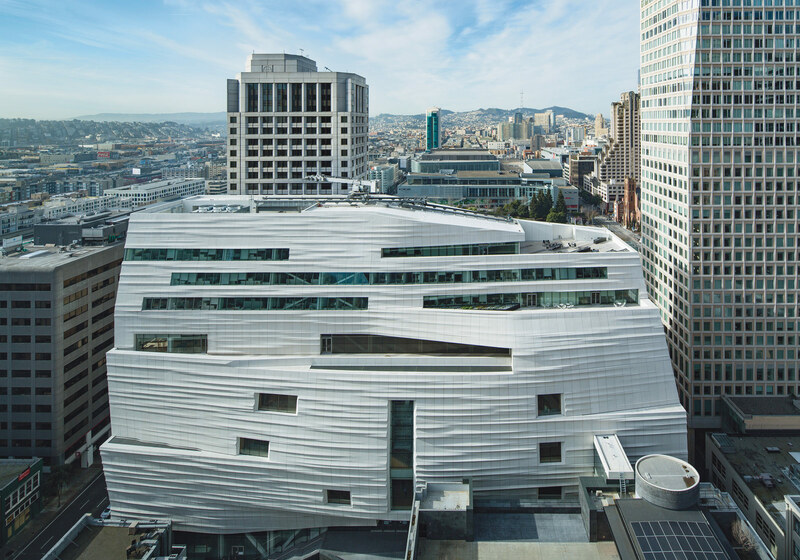 A development which witnessed an astoundingly successful fundraising campaign that topped off at $610 million which, in addition to covering construction costs, has more than tripled SFMOMA’s endowment. “This expansion enables us to tap more fully into the energy all around us, in a region known for its special creativity and beauty, while greatly increasing the presentations of a collection that includes remarkable concentrations of artworks that can be found nowhere else,” noted museum director Neal Benezra. A hardhat tour of the Snøhetta addition led visitors through a vastly expanded and exploded in scale and breadth building, which highlights new and unique spaces designed to house the large scale projects of modern art such as Richard Serra’s monumental sculpture Sequence (2006) and others. Soon, museum visitors will have access to more outdoor terraces that are scattered throughout the building offering exclusive and exceptional experiences of the downtown San Francisco urban cityscape. Previously a one entrance and exit museum this new building sports multiple access points and talks to current notions of porosity and an opening up of architecture as a fluid and dematerialized experience both programmatically and in the phenomenological. The focal point of the project, of course, is the eastern facade of the Snøhetta expansion, which is comprised of more than 700 individually shaped FRP (fiberglass reinforced polymer) panels fabricated by Kreysler & Associates, a local fabrication shop specializing in composites, affixed to a curtain-wall system, allowed for a much lighter structural frame because of their own lightweight nature, bringing costs down, and highlighting the technological versatility of sustainable, locally sourced materials, and digital fabrication. In celebrating the new building as a space for art, speakers at the topping off event ecstatically showed off new acquisitions their presentations and discussed the unique partnerships that allowed for these enormously expensive works to join the collection. Bob Fisher, the eldest son of Don and Doris Fisher, recounted his parents’ love affair with artwork and how they assembled over 1,100 art pieces that will become the focus point of many of the new exhibitions and offerings at SFMOMA over the next 100 years through an unprecedented public/private partnership. There was much discussion of the finances of the new building in addition to the artwork that has been added to the collection. Charles R. Schwab, chairman of SFMOMA’s Board of Trustees, focused on many of the unique collaborations and joint acquisitions of artwork through unique partnerships with other world renowned museums. Over 500 donors supported the campaign which both raised money and alongside it—the Campaign for Art has secured more than 3,000 artworks from over 200 donors, enhancing key areas of the museum’s holdings and providing visitors with a fuller, more textured view of contemporary art. In addition, the museum has added the Pritzker Center for Photography, the largest gallery, research and interpretive space devoted to photography in any U.S. art museum, and an increase in programs for children and families in the new Koret Education Center. SFMOMA will also now be free to anyone under 18, a gesture aimed at education and increasing accessibility for more kids and families to visit the space, in a time when ticket prices to exclusive culturally rich atmospheres seem to only get more and more expensive. This building sings a new song to the city of San Francisco and the world and one can only hope that more architects and designers (and most apropos developers) press forward with exceptional and forward thinking designs that help craft international and world-class destinations. Although the Snøhetta-designed SFMOMA expansion won’t open until mid-2016, there’s a lot going on behind the scenes. Earlier this month the museum promoted Jennifer Dunlop Fletcher to the Helen Hilton Raiser Curator of Architecture and Design and head of the Department of Architecture and Design. Dunlop Fletcher (who joined the museum as an assistant curator in 2007) co-curated the impressive Lebbeus Woods, Architect exhibition in 2013. 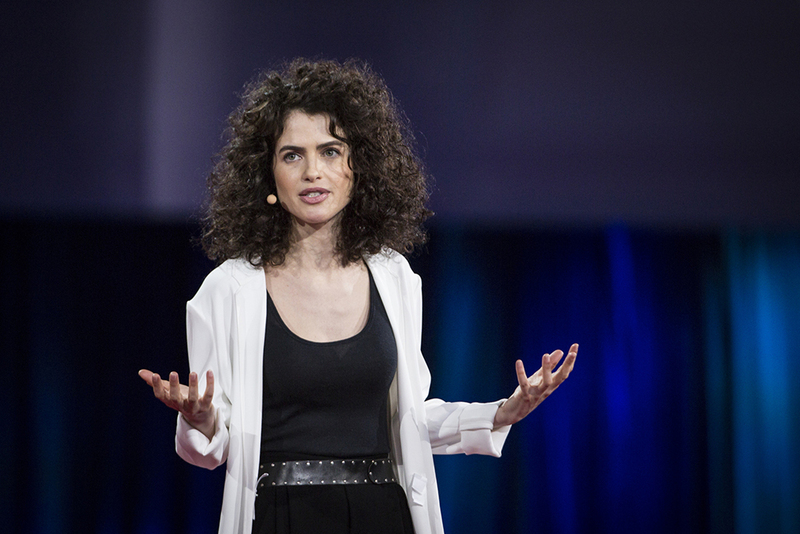 AN spoke to her about the future of architecture and design in San Francisco and Silicon Valley. The Architect's Newspaper: What is your vision for your curatorial role and for the new space? Jennifer Dunlop Fletcher: That’s always the hardest thing to answer. First, we will have a new gallery dedicated to architecture and design on the sixth floor of the new museum, which I’m very excited about. In the previous building, we had three spaces cobbled together with different ceiling heights, so having a refreshed gallery is going to be great. Also, we will have another dedicated A&D space on the third floor. Second, we get to participate in more museum-wide programs. I see a lot of opportunity for us to expand outside of our gallery and take advantage of the way designers work and be flexible and responsive to different spaces. In terms of responsiveness, how might the new design impact how you approach exhibitions? So, the way that Snøhetta responds to the physical conditions of the site and social conditions of the site, I think we also recognize that the engineering coming out of Silicon Valley has been a tremendous attracter for many designers to come to San Francisco. Internally, we’ve been focusing on research funded by an Andrew W. Mellon Foundation grant that looks at how designer practice has changed so much in the last 30 years due to new software tools. And of course, that relates so much to what is happening just outside our door. If we can really study those practices and the migration from pen and pencil to software we will have a whole new collecting approach internationally. This is something that has changed and affected every single design discipline: graphic design, product design, and architecture. So, if we take the three-year period (which we’ve outlined in the grant) to really look at some key designers and understand their practice behind the scenes, it will affect how we move forward in collecting and displaying this integrated work. I think it’s going to be a very big difference. In what way? The twenty-first century has moved away from object-based presentation and museums need to recognize that. Everyone still loves to come into the museum and see an original object, but the way that designers communicate with each other and clients has changed. We can’t impose a kind of more traditional display on that relationship. So, can we expect an expanded idea of representation? Are we talking about more screens? Well, I’ve been warned not to really discuss exactly what’s happening in the opening, but I think screens, but not screens in a consumption sense, not in a passive, let’s just watch something unfold sense, but more in a dynamic sense. And maybe…oh, I wish I could talk about this one thing! How can I speak about it abstractly? New ways to experience design that is traditionally experienced kind of phenomenologically, all the senses. So there might be a way for screens or devices to enable a different kind of interaction. We seem to be talking a little bit more about design and industrial design. What about sort of the architecture part of the equation? I’m not trying to exclude the architecture at all. The architects I see here are very, very interested in poking holes in existing software and hacking software and responsive buildings and robotic mechanized buildings. It’s permeated all the design disciplines here.